Our wide range of products specifically tailored to the NHS. We supply products and services either trust-wide, hospital wide or department by department. We provide various ID accessories specifically tailored to the NHS. Products include ID cards, clips and attachments, cardholders and wallets, yoyos, and lanyards with multiple safety breakaways. To help with the control of contractors, we provide a complete solution. Contractor passes can be made permanent or temporary, with the option to print them on site. These can be used with both our stock printed lanyards and contractor wallets. Our One-Write paper based systems can be personalised or purchased off the shelf and are suitable for areas where a PC is not practical. Streamline the visitor and contractor check in process with our market leading software. This proven solution, specialised for use in the NHS enables you to efficiently manage your visitors and contractors. Pre-registering visits, logging arrivals and departures, and producing statistical reports to monitor activity. Check out the dedicated SkyVisitor website here. Enhance your reception area with SkyTouch, an automated self-service virtual reception system. This gives you the flexibility to diversify hardware, from a desktop tablet adjacent to the receptionist to a wall mounted unit or a floor standing kiosk. Click here for more information on the SkyTouch module of SkyVisitor. With SkyPax, we deliver a simple and fluid interface for Net2. This easily and efficiently provides area restricted passes to visitors and contractors as well as assigning new tokens to staff. Visit SkyVisitor.info for more information. We supply standard and bespoke identification for authorised parking. Parking permits are manufactured as either a windscreen display, self-cling permit or scratch off hologram. For efficient management of your NHS building and to help improve safety, we can supply you with a wide range of signage. 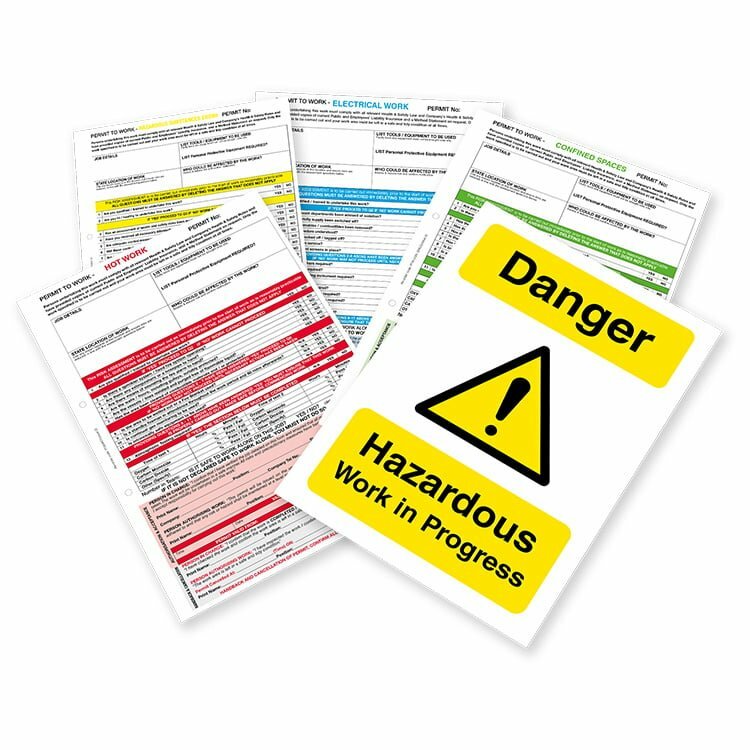 We stock a full range of safety signs – from hazard, prohibition and traffic management, general information and even fully bespoke solutions. Click here to go to our dedicated signage website. Our paper based and electronic solutions enable you to efficiently manage your visitors and contractors; logging arrivals and departures. Patients are able to check in upon arrival and view instructions on the screen. The system can also produce statistical customised reports to enable analysis of visitors, contractors and patients over a period of time. All of our NHS products are supplied with safety in mind, helping you to comply with Health and Safety regulations. Our visitor management systems allow for easy record keeping of visitors, contractors, patients and incidents. They also include easy to access fire register sheets. Dramatically improve the security of your building with SkyPax Net2 Access Control. Issue area restricted passes to staff and contractors and install door entry systems with pin codes and finger print bio-metrics.